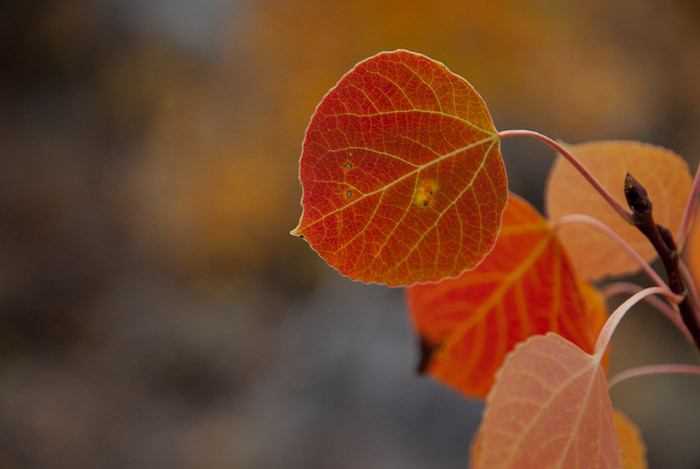 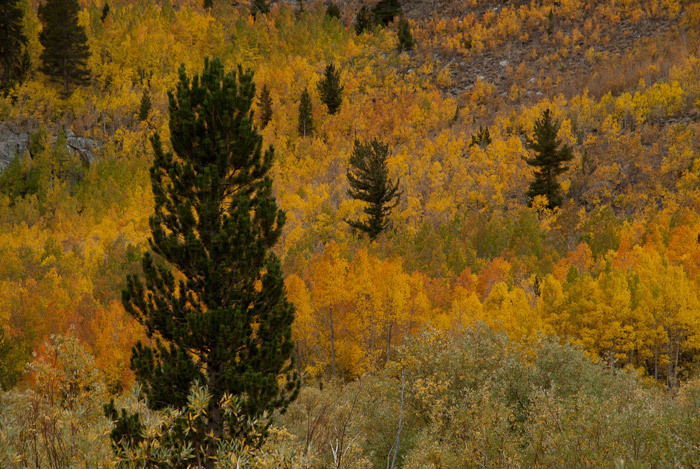 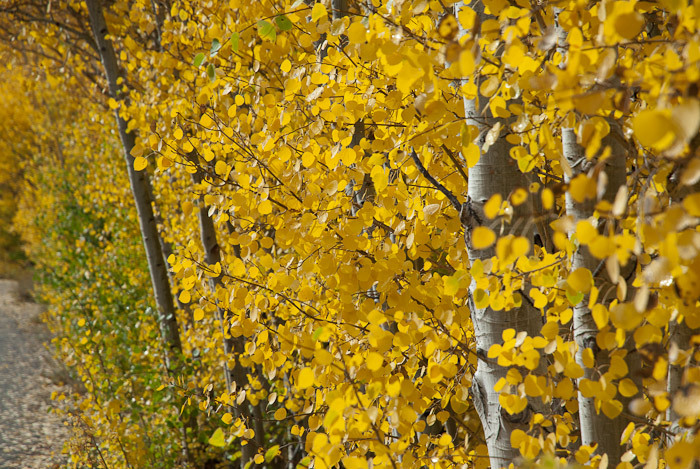 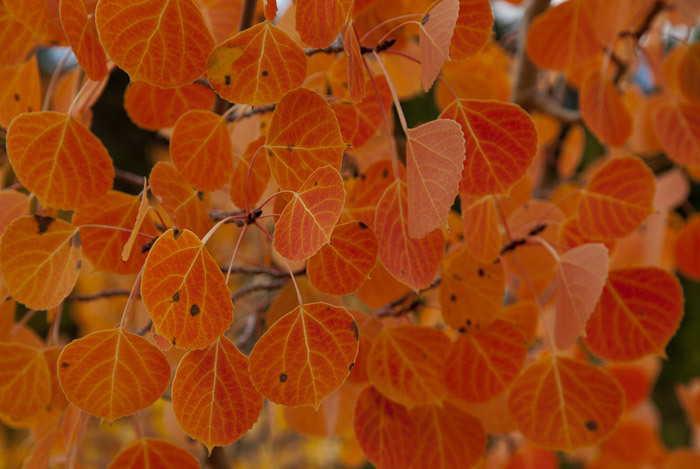 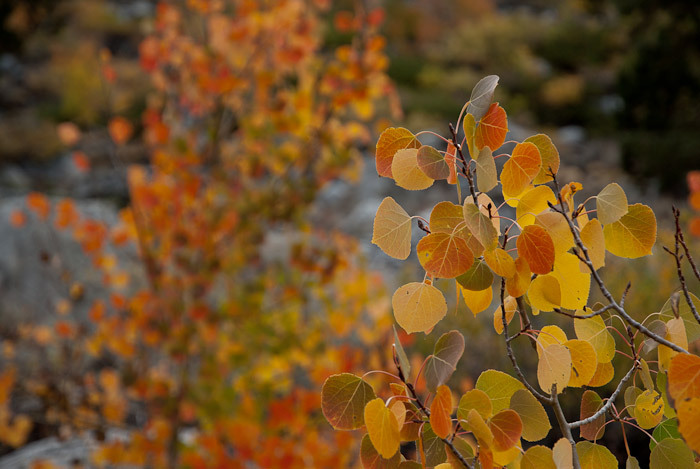 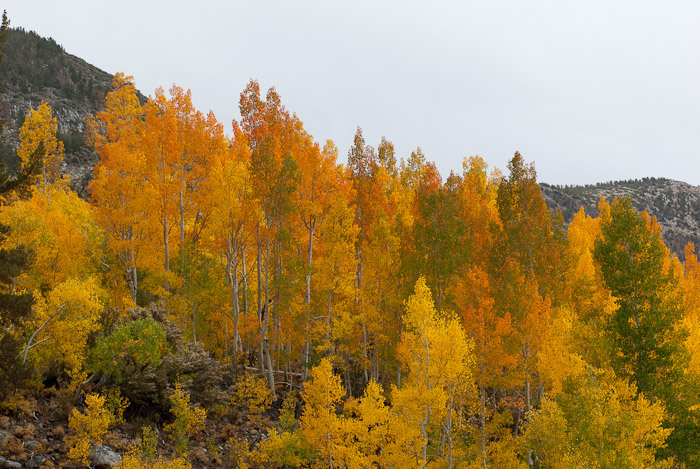 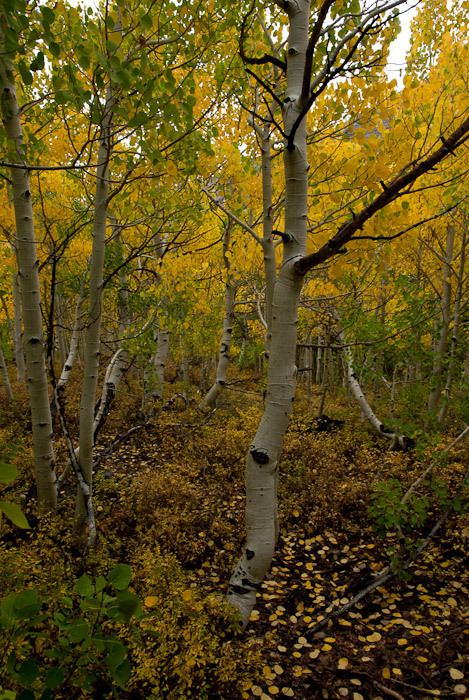 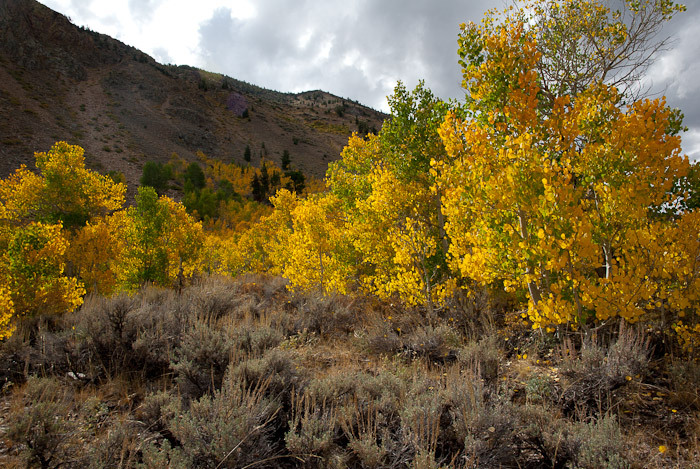 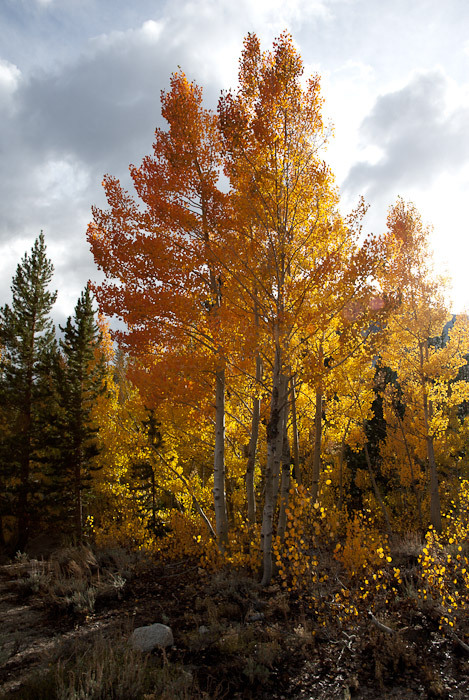 I'd wanted to come back to the Eastern Sierra to see the aspens turn colors since I'd made my first trip to the area in 2008. 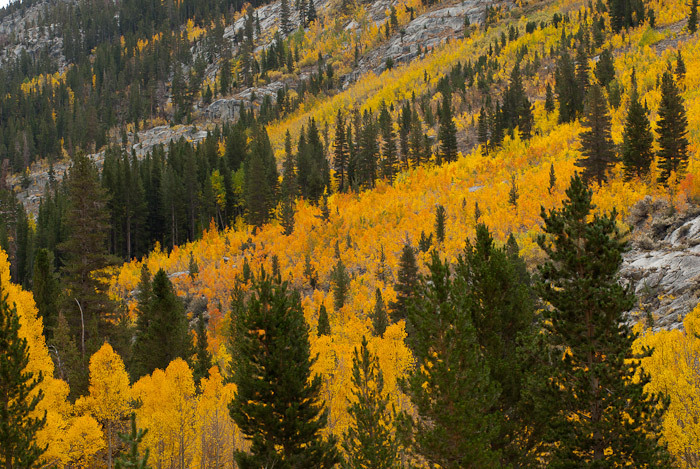 This trip was first weekend of October. 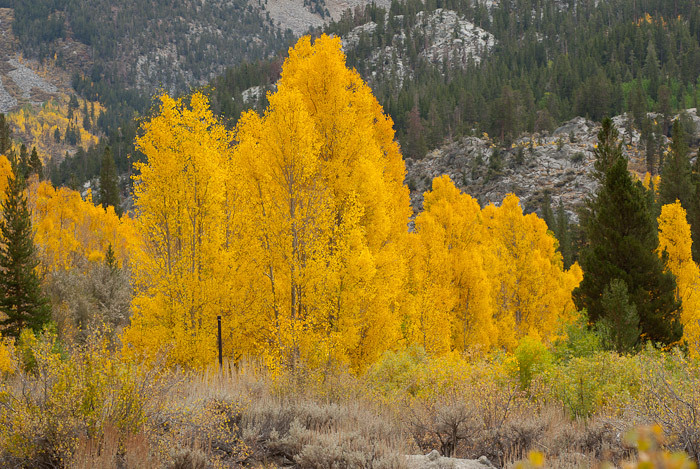 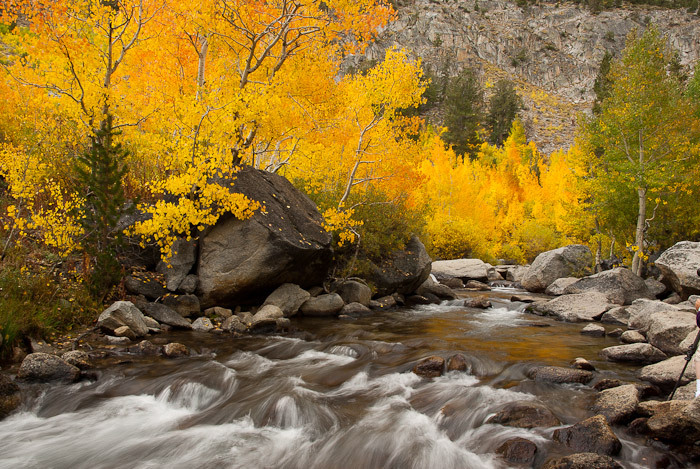 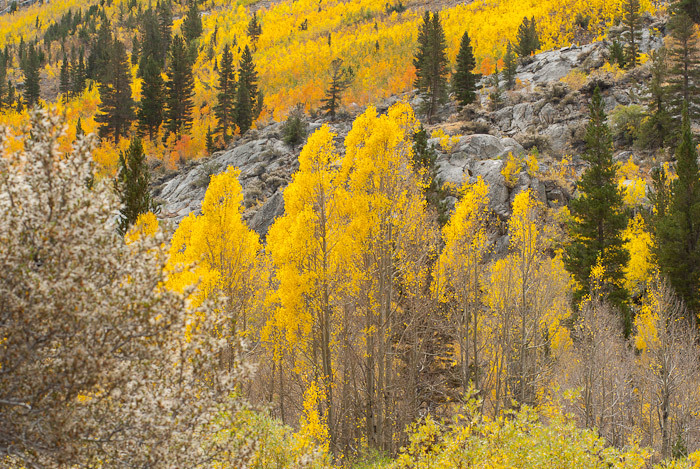 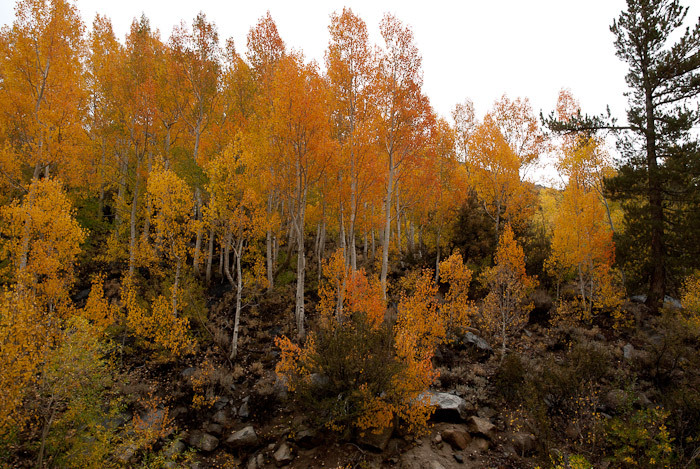 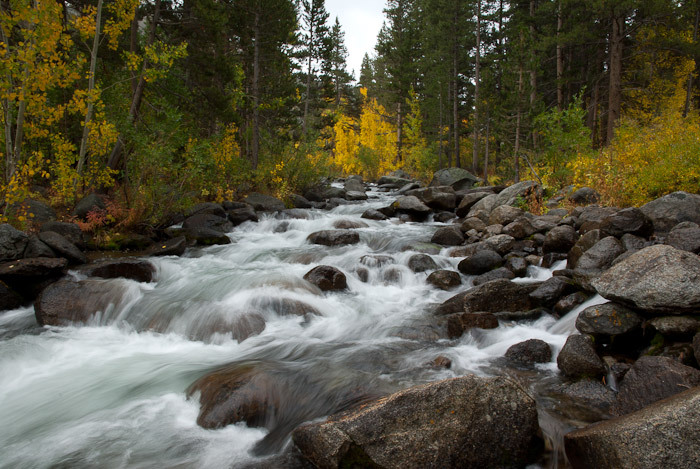 The Bishop Creek canyon to South Lake was at it's peak that weekend and the brilliantly colored trees flooded the canyon with color.